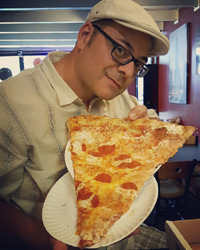 I have been eating a lot of New York style pizza as of late. And.. While it probably is my most favorite style of pizza, I've had the craving lately for something with a heftier crust that can accomodate A LOT of toppings. I had eaten at Flippers a couple of months back, and decided that this might be a great Pizzeria to order a pie like this. As you can see.. there is a whole lot going on here, so let me break it down for you.. The Crust - Made with artisan flour and Extra Virgin Olive Oil, this is a delicious and hefty Brick Oven Crust with a beautiful char. The Cheese - 100% Whole Milk Aged Mozzarella from Wisconsin. Just look at that melt! The Sauce - Tasty and delicious, made with fresh San Joaquin tomatoes, spices & Extra Virgin Olive Oil. 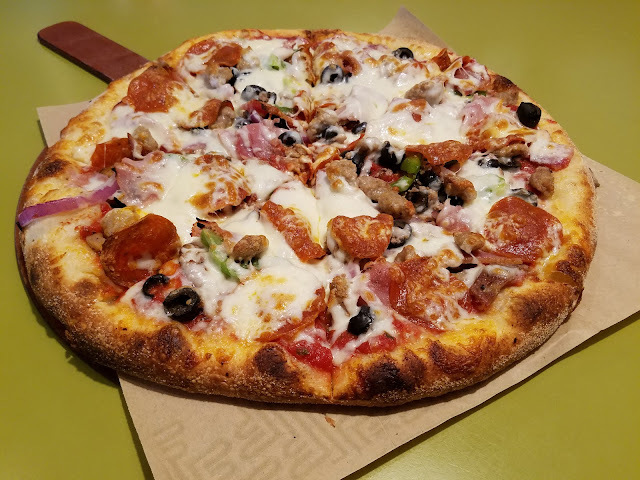 Meats - Quality meats that are very tasty and not inferior by any means, but an artisan type sausage and thick cut pepperoni would have kicked this pie up several notches. This pizza crust efficiently held up under the strain of the toppings, and this pleased me to no end. 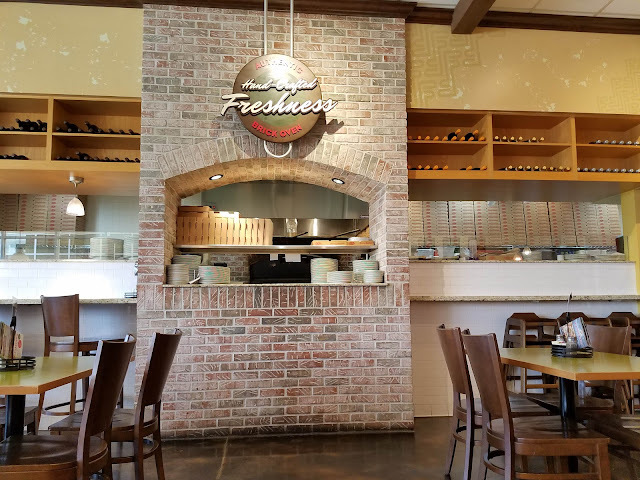 It very much reminded me of the Colorado Pizza I ate as a boy, with hearty crusts that could withstand a multitude of toppings. Every quality ingredient played off of the next perfectly and made for one divine pie. 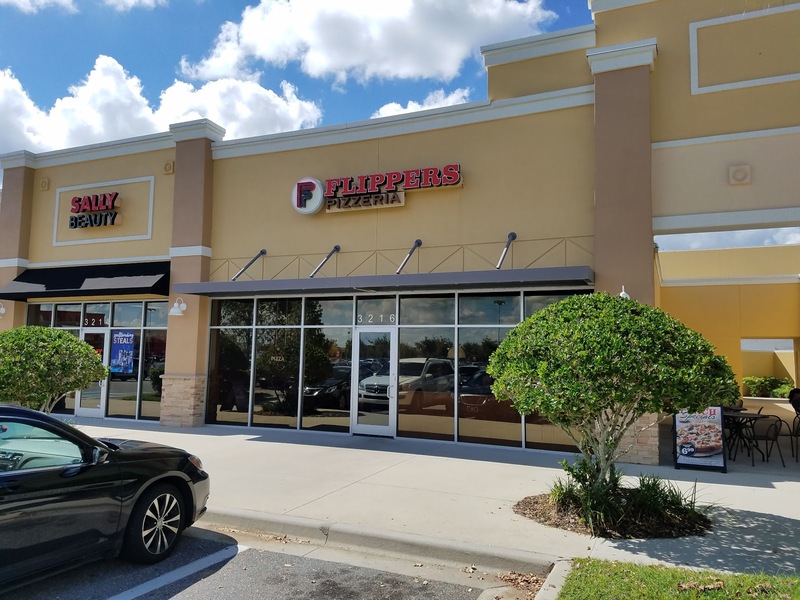 Now that I think of it, Flipper's was the very first Pizzeria that was recommended to me after I relocated top Central Florida. 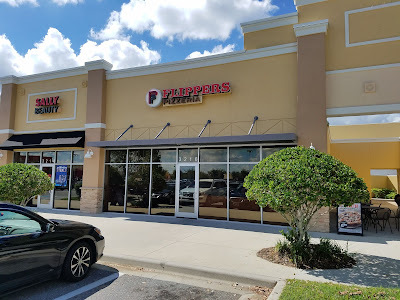 I can see why Flippers is a local favorite, and they are now my go-to pizzeria for heartier loaded pies. Oh.. I can't forget to mention how wonderful, friendly and attentive the staff was at this store. Especially my server Darien. Talk about the icing on the cake, or.. pie rather. It was a pleasure dining in this establishment, and I will be back very soon.